On the left is a picture of an old painted seal which hangs in town hall. I re-created this seal representation using the latest vector software. Once the artwork is turned into line art, not only does it provide for beautiful reproduction on print media and electronic documents, but it is easy to change the appearance. The text can be changed to represent different sub divisions of the organization, or as depicted on the right, seasonal highlights can be added. 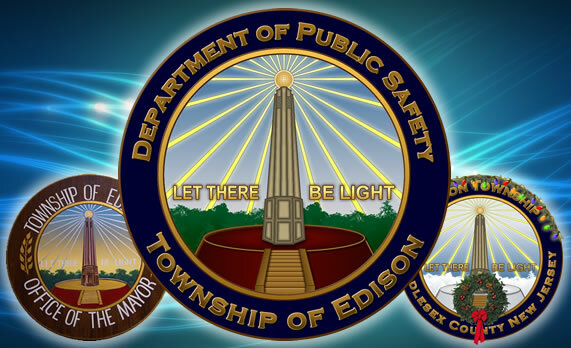 This particular artwork was utilized by the Township of Edison for various events such as the opening of the Public Safety Building in Raritan Center, and on the Township website for the Department of Public Safety.